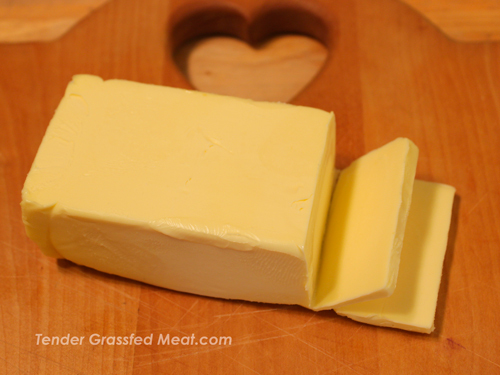 Pastured butter is a great way to get healthy animal fat. The proponents of a truly bad idea never give it up if it fails. Especially if they are in the medical profession. Even if totally fails. Especially if it totally fails. A case in point is the fat tax. The idea is that you can make people thinner by heavily taxing the purchase of foods containing the “ultimate evil”—animal fat. This truly bad idea was tried in Denmark in 2011. A tax ranging as high as twenty percent was placed on foods containing saturated animal fat, like butter and cheese. The Danes did not reduce their consumption of these foods at all, often buying them from other countries. After a year of total failure, the Danish government admitted failure and abandoned this stupid, tyrannical tax. Yet medical voices in the U.S., completely aware of the Danish failure, are still calling for a fat tax in America. A tax that would have to be high enough to stop people from buying foods containing animal fat. The basic idea behind the fat tax, that forcing people to eat less fat will make them thinner, is just not true. A huge campaign to reduce the eating of animal fats has been waged in the U.S. for over fifty years. Americans eat much less saturated animal fat than they used to, which is the goal of the fat tax. And what is the result of this “success”? Americans are much fatter and sicker than ever before. Seventy five percent of young Americans who try to join the military are rejected as physically unable to serve. Chronic illness, especially among young people, has greatly increased. The U.S. spends far more money on medical costs per person than it did before fat restriction was advocated. Reducing the amount of animal fat eaten by Americans will only get us more of the same. More obesity. More illness. More medical costs. The truth is that fat from healthy animals is perhaps the most needed and vital food we can eat. (See The Skinny on Fats.) Restricting this vital food only results in malnutrition, and the illness that it brings. Americans are suffering greatly from malnutrition, due in large part to not getting enough healthy animal fats. Taxing animal fats will only make this worse, and make food even more expensive, making it almost impossible for the poor to get the nutrition they need. Before fat was demonized, doctors treated obesity by prescribing a diet high in animal fats. These diets worked, and nobody needed a diet industry. This fact has been carefully concealed by various industries, which thrive on sickness and people trying to lose weight. The solution to obesity and illness is not to intensify the same methods that made the problem much worse, but to make it easier for people to afford and get the nutritious traditional food they really need. An educational program teaching people the truth about food—that the unmodified foods of our ancestors is what we need to be strong and healthy—would greatly increase the demand for such food, which people already crave. Subsidies should be stopped to industrial farmers and chemical makers, and given to sustainable farmers who raise real food, to increase the supply. People who give up factory food and eat only real food almost always become much healthier and happier. I have seen it happen time after time, with my own eyes. Factory foods are far inferior to real food, and chemicals in food can do great harm. True health and normal weight come from real food, the food of our ancestors. That is the only proven solution to the problem, and we should take it. It is a basic human right to decide what food you will eat, and how much. No one has the right to make that decision for you. Not the government, not the corrupt medical profession, not the greedy food industry, not anybody or anything. Many people make horrible food choices because of propaganda and misinformation. In my experience, when people actually learn the truth about food, they change what they eat and become much healthier. Education is the answer, not coercion. 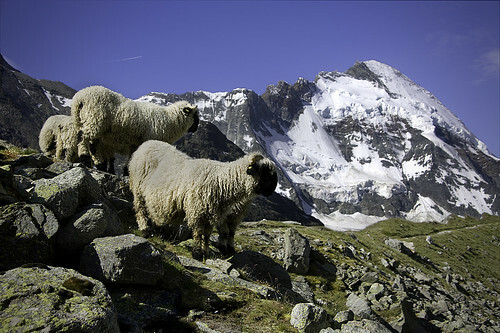 photo credit: Jeff Pang Grassfed sheep thriving in rocky pastures. It is valid to be concerned about artificial fertilizers, which have caused great harm. But the UN solution, to stop eating meat, is, to be polite, nonsense. The UN Scientists reason that eighty percent of artificial fertilizers are used to grow crops fed to meat animals. Thus, they think, if we stop eating meat, we will use less artificial fertilizers. But the truth is that if we stop eating animal foods, we will all suffer from severe malnutrition, and the myriad illnesses that come with the lack of vital nutrients. The research of Dr. Weston A. Price established that we need good animal foods to be well nourished and healthy. My solution is practical, and will greatly increase the food supply. Stop feeding grains and other crops to meat animals Let the animals eat the their natural food, the food that makes them healthy. Yes, there is enough grass to feed all grass-eating meat animals, and we can greatly increase the supply. Most of the scientists and government officials who attack the eating of meat dismiss the grassfed solution by claiming there is not enough farmland to feed grazing animals. But they are ignorant of one key fact—you do not need farmland to feed grazing animals. You need grazing land, which is not the same thing. Animals can graze and thrive on land that is not suitable for crops, and the earth is full of such land, largely unused. And the earth is full of deserts and wastelands than can be turned into great grazing land by the techniques created by the Savory Institute, which has turned millions of acres of desert into rich grazing land, with trees and streams. The techniques involve using concentrated herds of cattle to engage in a pattern of rotational grazing, the same system used by nature to create the grasslands in the first place. We can use these techniques to greatly increase the grazing land available. It should be noted that several grazing meat animals, like sheep and goats, can thrive even in poor grazing land, but do even better in great grazing land. We do not need any artificial fertilizer to grow grass and restore watercourses. But we do need grazing animals to do this, and the meat and milk of such animals is our best and most nutrient-dense food source. But What Will They Eat in the Winter? There are huge areas of unused grazing land in areas where animals can graze all year round. In other areas, where there is good land but cold winters, grass can made into hay and dried, and provide adequate food for the animals. But Isn’t Grassfed Meat Tough? 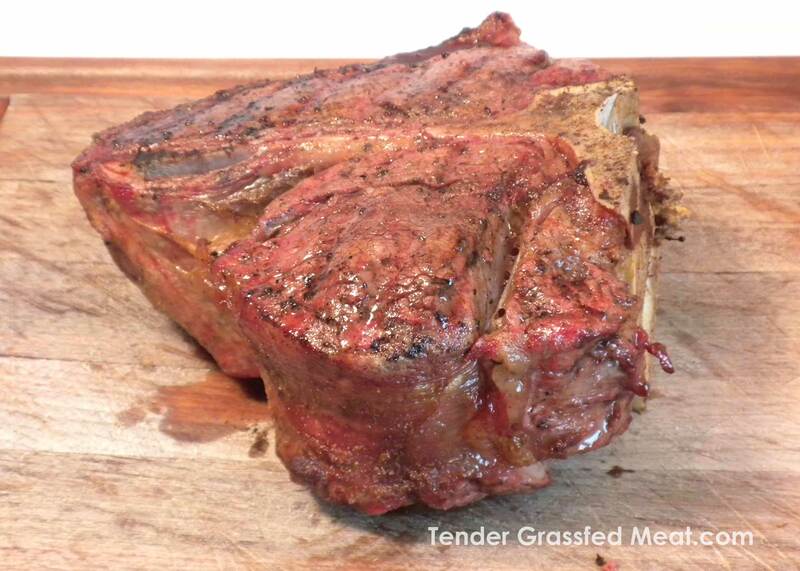 Properly grazed grassfed meat is tough only when it is cooked wrong. Our ancestors knew how to cook grassfed meat, and celebrated this wonderful food in their traditions, literature, and stories. 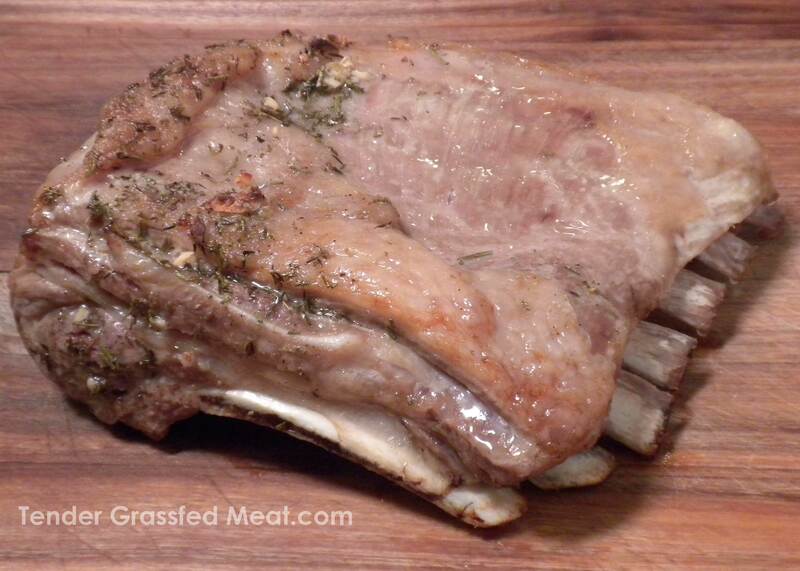 Unfortunately, most have forgotten how to cook grassfed meat, as cooking grain-finished meat is very different. The techniques developed to cook grain-finished meat ruin grassfed meat, which is why grassfed has a “tough” reputation. I ran into this problem when I started eating grassfed meat to rebuild my body. After ruining much good meat, I researched the traditions of our ancestors and learned how to cook it. I have made much of this knowledge available in my cookbooks, Tender Grassfed Meat , and Tender Grassfed Barbecue. I eat only grassfed meat, and it is always tender and delicious. Grassfed meat has far more nutrients than grain-fed meat, and has these nutrients in perfect balance. Even the fat is different, with grassfed meat having an ideal ratio of omega-6 fatty acids to omega-3 fatty acids, while grain fed meat has a huge imbalance of omega-6 to omega-3 fatty acids. An excess of omega-6s has been linked to inflammation, and to many illnesses. This means that grassfed meat is much more satisfying to the body and appetite. I have found that I am satisfied with eating only half the meat I used to, if it is grassfed. I did not intend to reduce my meat consumption, it happened naturally, because my body got the nutrients it needed and was no longer hungry. Based on my experience, people will be satisfied with less meat, but be much better fed. We can solve so many problems, if we just let them eat grass. The idea of having a special day to celebrate your love is both romantic and enjoyable. People in love have been sharing special days long before the creation of Valentine’s Day. There is no doubt that Valentine’s Day has been heavily commercialized, and the candy industry has tried to seize this day for its own, to the point that many people expect to get candy as a gift on Valentine’s Day. But candy is very unhealthy, being full of refined sugar or other sweeteners, and a host of other unhealthy ingredients. In fact, high doses of refined sugar is one of the worst things the Standard American Diet (SAD) has to offer. Too much sugar disrupts the natural functions of our body, causing havoc and setting the stage for many illnesses. Just about all candy has too much sugar, in my opinion. And I consider artificial sweeteners to be even worse. Which is why I do not give candy to my love on Valentine’s Day. I give grassfed meat, and use it to make a romantic meal. Grassfed meat is very healthy, supporting the natural functions of the body, including reproduction and all that goes with it. Properly cooked grassfed meat does not leave the eater feeling stuffed or bloated, but refreshed and renewed, and fueled for a romantic evening. And there is something truly romantic about sharing a special, traditional meal. In most cultures, our ancestors had many holidays and special occasions to celebrate. 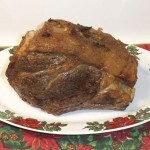 One of the most enjoyable ways to celebrate these special days was with a special meal, and meat, usually grassfed meat, was the most common choice. Grassfed meat and grassfed fat are the oldest and most nutrient-dense foods known, and are so satisfying when properly cooked. A review of recorded culinary history shows a huge variety of meat dishes prepared to celebrate special occasions. These delicious steaks, cut from the prime rib area, a cut of meat that used to be the food of heroes, have a unique and delicious flavor of their own. Grassfed ribeye steaks have the most flavor of all. A nice marinade will help make the meat even more tender and bring out its flavor. Grassfed ribeye steaks are wonderful sautéed in butter to medium-rare perfection. Every bite provides strength and health, and it is possible to trim and arrange two such steaks so they form a heart shape, to celebrate Valentine’s Day. 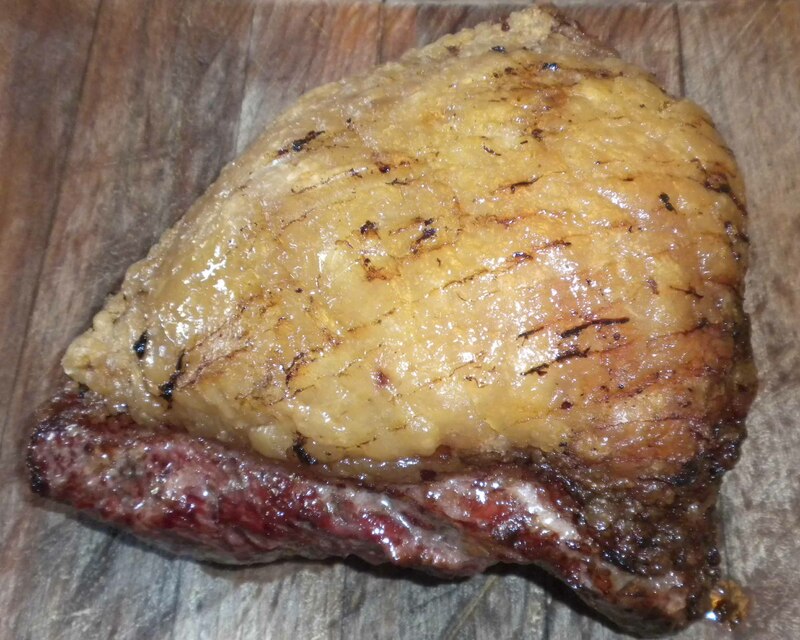 This is a thick steak from the same cut of meat as the ribeye, with the bone left in. This steak is very thick, and is meant to be shared by two. It is a favorite cut in France. 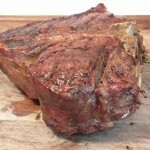 This meat has all the advantages of the ribeye, with the bone providing even more flavor. It is a wonderful steak to share, and so delicious! The Porterhouse is made for two, as it is at its best when cut thick. The Porterhouse, which is almost identical to the T-bone, contains two wonderful cuts of meat, the tenderloin, and the strip. Both have different textures and flavors, and complement each other wonderfully. The bone that separates the two cuts of meat adds incredible flavor and tenderness to both cuts, along with increased mineral content. Like most grassfed steaks, the right marinade greatly increases tenderness and brings out the wonderful flavor. The bone makes these steaks difficult to sauté, but they are wonderful grilled, or broiled with butter. This luxury cut is also perfect for two. Known in ancient times as the “Champions Portion,” the dense, flavorful meat rests on a rack of bones, and is topped off with a magnificent cap of grassfed fat. The fat and bones provide incredible tenderness and flavor. Properly marinated and cooked, the meat is not at all gamy, but has a somewhat nutty flavor that is delightful to eat. It is best cooked medium rare to rare, and is full of valuable nutrients. But it is the taste that makes this cut something special. My cookbooks, Tender Grassfed Meat and Tender Grassfed Barbecue, have many delicious recipes for these wonderful cuts of meat. By giving the gift of grassfed meat, you promote health, not sickness, as well as a wonderful taste and nutrition experience. Grass-fed beef with its natural fat cap. If you study the history of food, and read what contemporary people wrote and said about it, you will be struck by one inevitable fact—our ancestors considered fat a vital nutrient, and loved to eat it. The only bad thing about fat was the difficulty in obtaining it, as it was often expensive and hard to get. This fact is shocking to modern people, who have been subject to a propaganda campaign that labeled most fat as bad, unhealthy, and the cause of most illness. This propaganda campaign began in the 1960s, and became accepted as absolute fact in the 1980s. Even though there never was any real evidence to support the all-animal-fat-is-bad theory, nearly everyone believed it. Even today, most people believe that fat, especially saturated animal fat, is bad for health and should be restricted. This belief remains common even though it has never been proven and many studies and much research has totally discredited it. Now, I am not a doctor, or a nutritionist, or a scientist. But I am an attorney, and I have been one for a very long time. Attorneys are experts in evaluating evidence. I have evaluated the available evidence on fat, and it is my opinion that animal fat from healthy animals eating their natural diet is one of the healthiest, most vital, and most needed foods we can eat. The claim that fat is bad and causes illness began with the infamous “lipid hypothesis “developed after World War II. This unproven theory tried to connect cholesterol with heart disease, and eating fat with the creation of excess cholesterol. This theory was of great benefit to the makers of factory vegetable fats and modified foods, who had to find a way to get Americans to drop the healthy traditional foods of their ancestors, so they would buy the new products. It also created a whole new set of illnesses and medical conditions, which increased revenue for the medical profession and the drug industry. These powerful forces supported the lipid hypothesis and the related belief that eating saturated animal fat caused too much cholesterol, and therefore, heart disease. Since eating factory foods makes people fat, a huge diet industry grew and added its money and power to the propaganda campaign. Eventually, these industries were able to persuade most people and institutions that eating traditional animal fats caused many other illnesses. Since these industries have a great deal of influence over government, they were able to get government agencies to support the fat and cholesterol myths. A number of careful reviews of the studies supporting the lipid hypothesis have shown that there is no real evidence to support the theory. The same is true of the theory that eating animal fat is unhealthy. A number of these reviews are available at the website of the Weston A. Price Foundation. The lipid hypothesis is believed not because it is true, but because it has been marketed so effectively. Human history and even animal history establishes conclusively that traditional animal fat is a vital nutrient. The very first part of the animal eaten by predators is the fatty liver, followed by the other fatty organs. Caves which sheltered prehistoric peoples are full of bones that have been cracked open to get at the fatty marrow. Nearly every traditional people valued natural animal fat as one of their most important foods. Pemmican, the traditional survival food of the Native Americans who lived on the Great Plains, was one-third bison fat. European poets wrote poems about their love and appreciation for fatty foods. There are countless other examples. Dr. Weston A. Price, a dentist and researcher, became aware that each generation of his patients had worse teeth than the preceding generation. He noticed how healthy some traditional peoples seemed to be. He decided to visit a number of them, all over the globe, and learn what made them healthy. Dr. Price was convinced that nutrition was the key, and expected to find that these people were vegetarians. He spent ten years travelling the world, visiting these healthy peoples in person and learning what they ate, and did not eat. He learned that none of them were vegetarians, and all of them relied heavily on what he called sacred foods—which were always foods rich in animal fats, including butter, the back fat of moose, fish eggs, seal blubber, cod livers, milk that had six times the fat content of American milk, and other similar foods. These people were healthy, having perfect teeth, no degenerative diseases, no mental illness, and no birth defects. When the very same people began to eat the processed foods of civilization, their health collapsed, they lost their teeth, and became the victim of many horrible illnesses, like tuberculosis. Dr. Price had thousands of traditional foods studied in labs, and concluded that the most important nutrients were found in traditional foods rich in animal fat. I find Dr. Price’s research convincing, and adopting a high animal fat diet based on his research brought me from being very ill to being free of all illness. My cookbooks, Tender Grassfed Meat and Tender Grassfed Barbecue, are true to the principles discovered by Dr. Price, and make full use of traditional animal fats in the recipes. This post is part of Fat Tuesday, Real Food Wednesday , and Fight Back Friday blog carnivals.